“Mea Culpa” (Latin for “my fault”) – two words to summarize simply one’s action of taking full responsability for creating the dream / the reality that one experiences. And it is about responsibility beyond fault and blame that is directed against someone or something else outside. A simple truth to integrate. In peace and conflict work, it is clear that there are never just two parties to the conflict, and it is never about one only that is to blame. 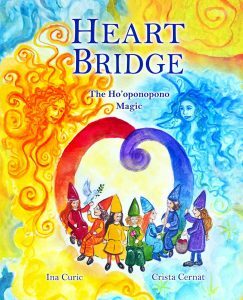 Heart Bridge: The Ho’oponopono Magic – the third story in the Rainbow Elves / Peace Education series – brings inspiration to practice at the family level a restaurative justice approach from Hawaii. Ho’oponopono/”to set things straight” has amazing potential for reconciling relationships in a profound way. Puanani Burgess, a fellow Transcend Member from Hawai’i shared it in a Summer Peacebuilding Institute back in 2002 saying the depth and complexity of the approach cannot possibly be taught online, its complexity reduced. This was a bit before ho’oponopono started being marketed internationally – in a simplified form that not all Hawaiians recognize- as a one stop practice, easy to use to dissolve and surpass any obstacles. The simplified form does have its value though. This storybook can also only be a short and simple intro for those who want to go beyond scratching the surface in taking full responsibility in personal relationships, consciously ccontributing towards restaurating harmony. 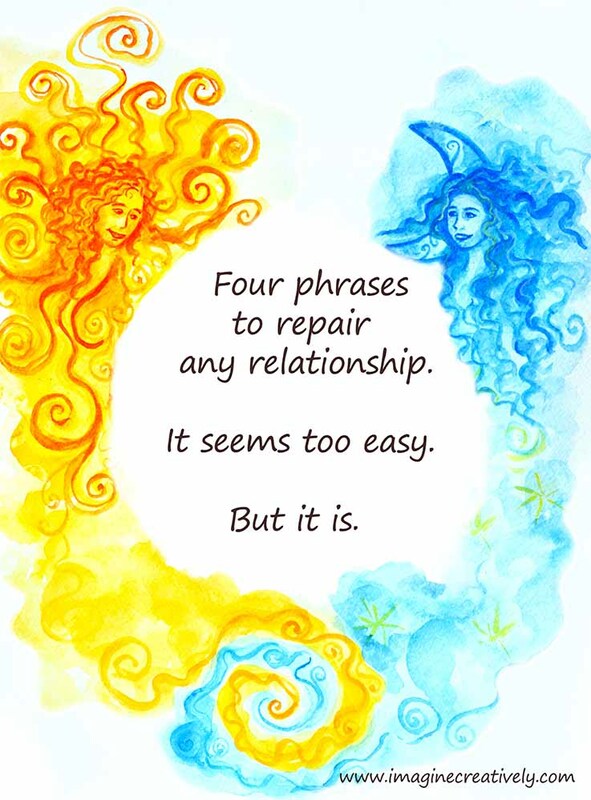 Some will resonate with forgiveness, some may have moved beyond that or are not even ready to consider it as a path to reconciling relationships. Forgiveness is one level only at which situations and relationships can be understood. It can be a conscious choice. Another conversation starter on necessary reflections about how can we nourish fulfilling relationships starting in the family – where the emotional journey starts for everyone. A note for parents is included at the end to plant some seeds for a more expanded awareness regarding this practice and the importance of emotional expression and processing. Ho’oponopono works. Give it a try. Introduce it to children in a friendly, rather than “must-say-sorry” way. With reflection questions to be asked constantly about what would make our relationships thrive with love. When my eldest daughter was two and we started talking questions came in songs, rhymes, play.